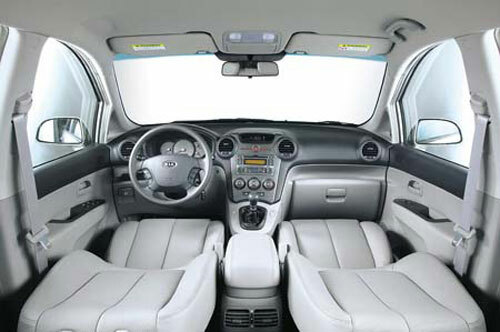 I posted sketches and spyshots of the 2007 Kia Carens a few days ago. Many of you wondered how come the sketches looked so different from the actual camouflaged spyshots. Well, wonder no more. 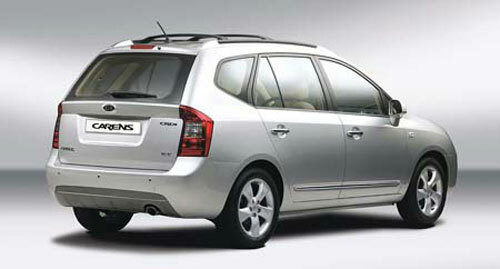 This is how the new 2007 Kia Carens will actually look like. Not really similiar to the really sporty sketches, but not too bad either. 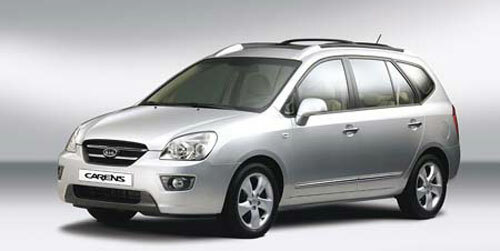 It has a slight SUV-ish profile to it, although it is a front-wheel drive strictly on road vehicle. The new 2007 Kia Carens will come with a 2.0 litre petrol with variable valve timing engine making 145 horsepower as well as a 2.0 litre CRDi turbodiesel engine with 140 horsepower. 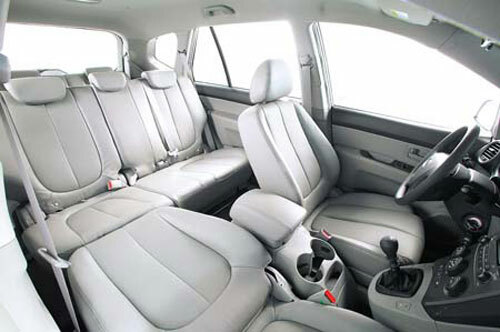 It is a 7-seater, which is 1 extra seat than the previous 6-seater Kia Carens which is rebadged locally by Naza as the Naza Citra.